Linoleum cut printed in colors on laid Japan paper. One of two known experimental proofs printed in colors a la poupée (apart from a small edition in black ink). Signed in pencil. 6 ¼ x 7 ½ in. 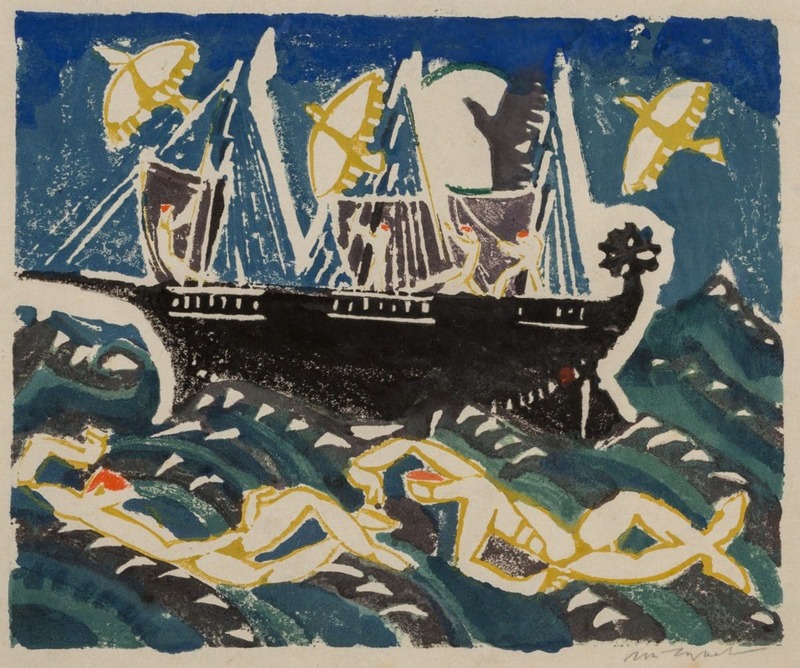 This unique color proof of Zorach’s Marine is an important modernist print. Zorach and his wife, Marguerite, were avant-garde artists who exhibited at the 1913 Armory Show. His early years in Paris exposed him to Fauvism and Cubism and this print shows a Fauvist influence in the rhythmic forms and vivid colors. Zorach printed his linocuts by hand without a press.